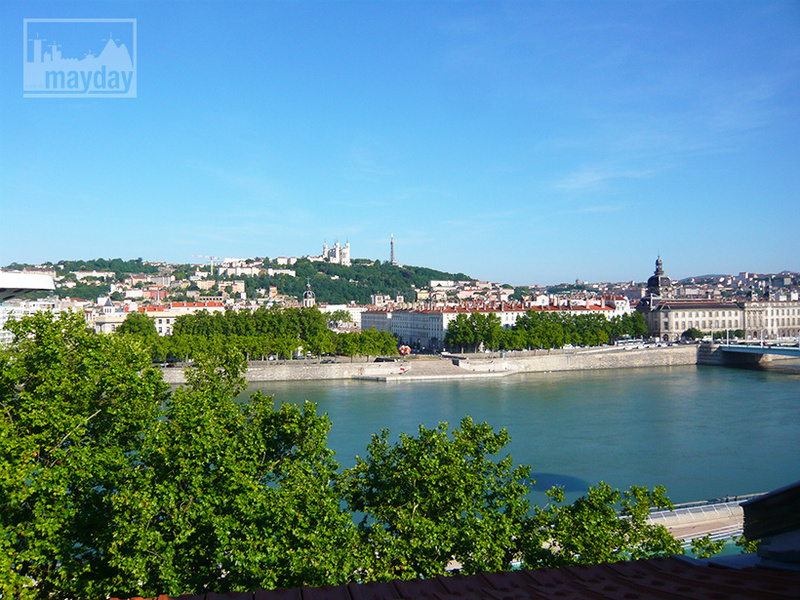 I see the Rhône river flow from my window… (clav0049) | Agence Mayday, scouting agency | Best location for your project concerning : feature films, TV, commercials, promos, photo shoot & events. 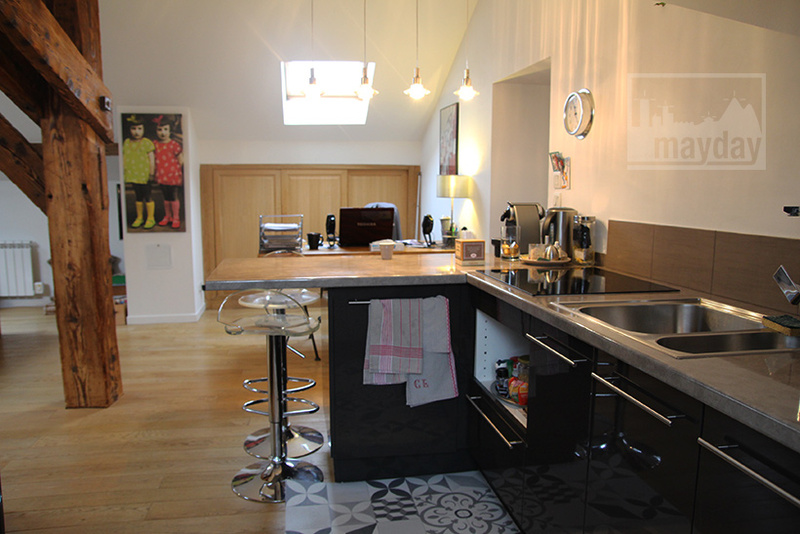 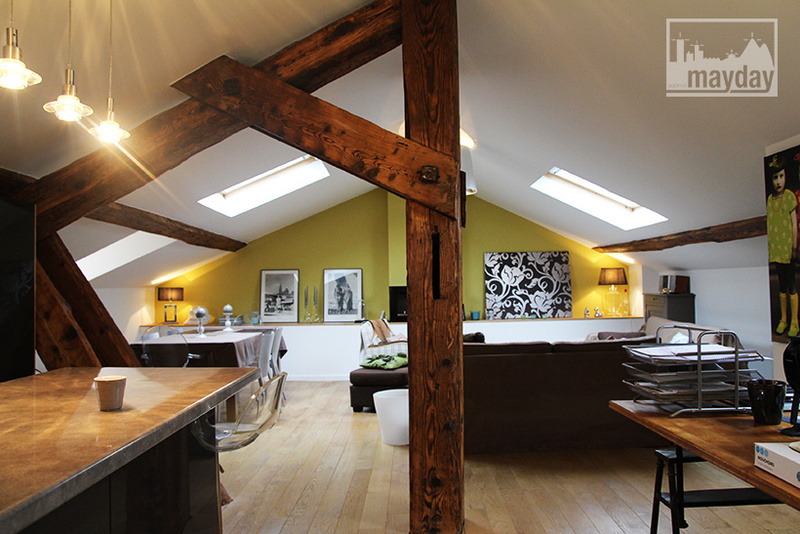 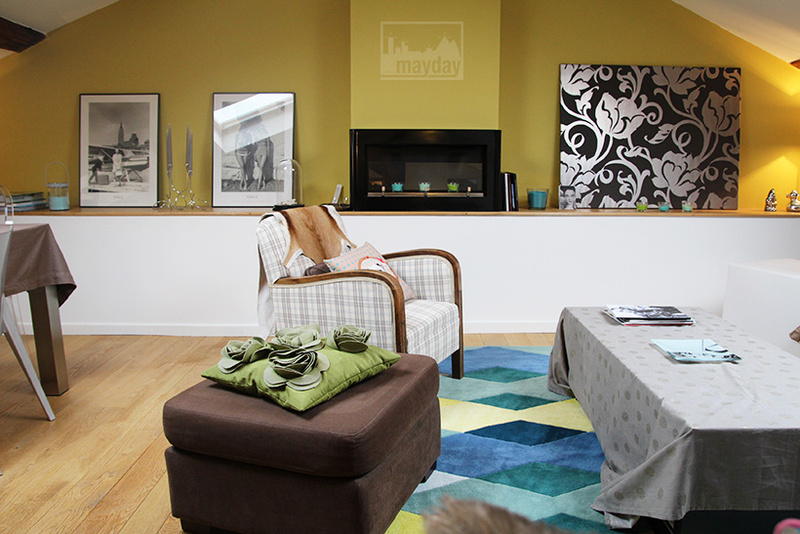 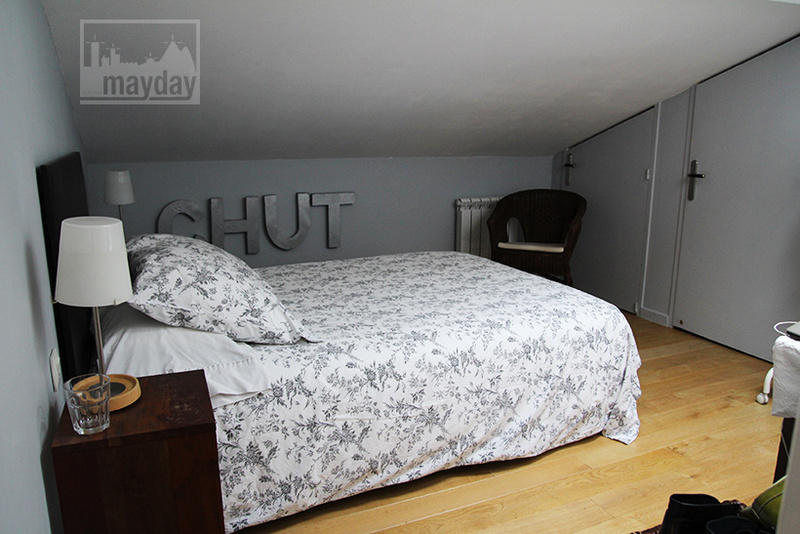 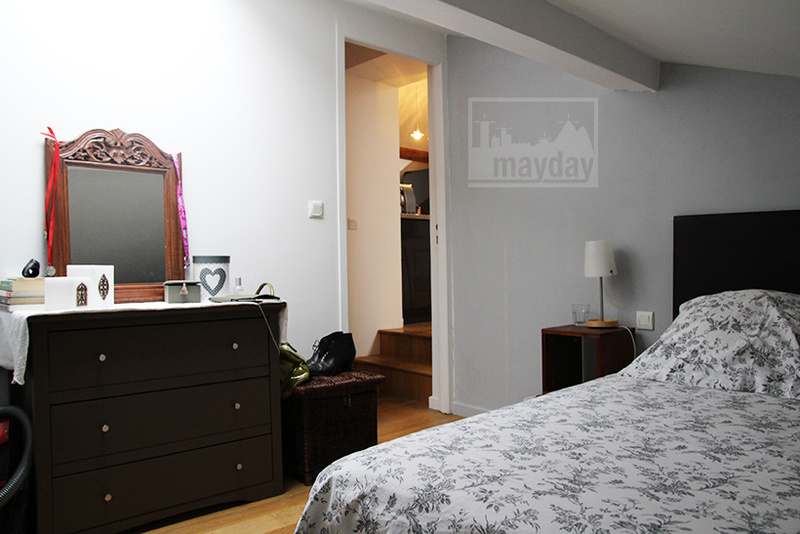 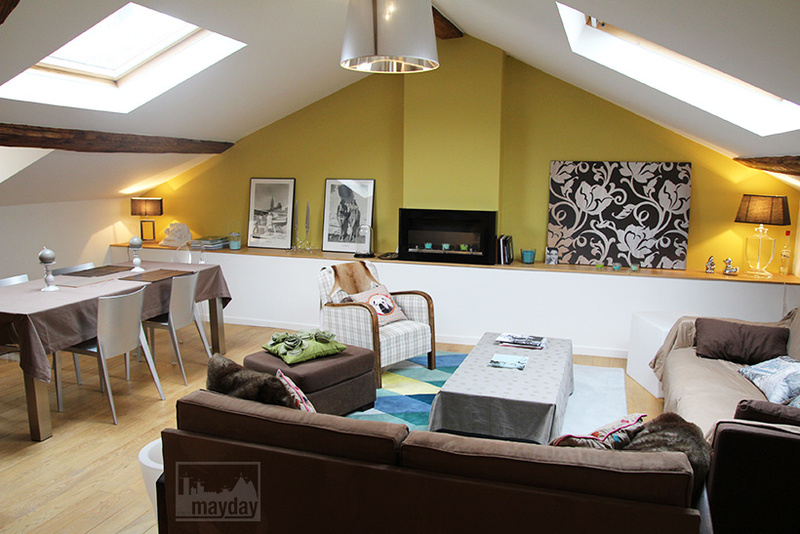 Charming small apartment underneath the roofs renovated with exposed beams. 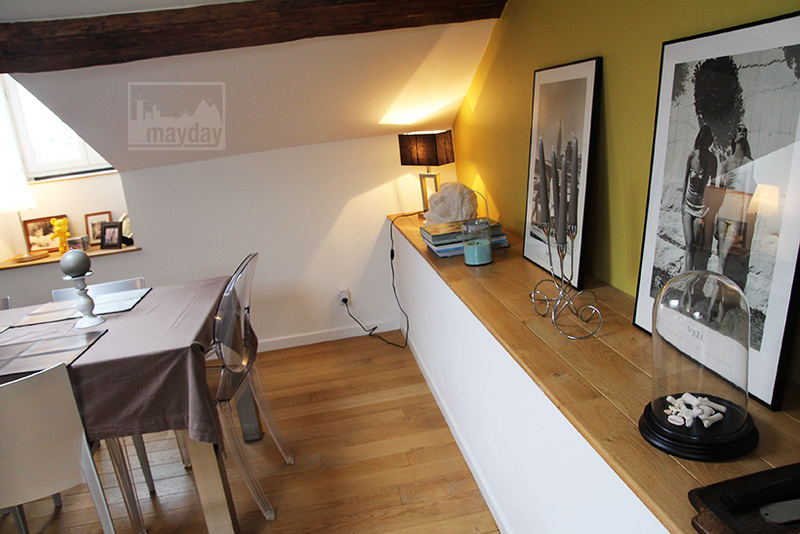 Situated at the 6th floor of an ancient building in the center of Lyon. 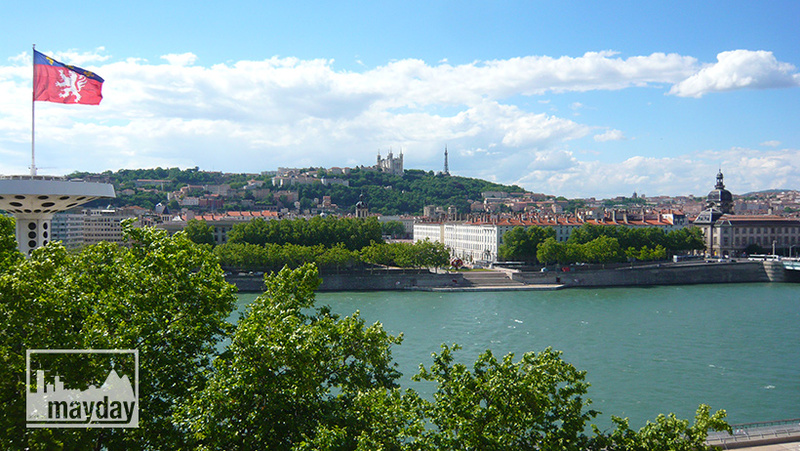 Splendid view over Lyon and the Rhone river.